Program will include selections from Images Book I & II; Pour le piano; Suite Bergamasque; Premiere Rhapsodie; L’isle joyeuse; Syrinx; selected Preludes and Etudes, and more! 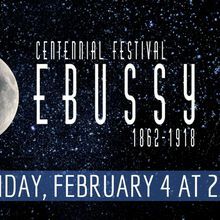 Widely regarded as the most important composer of the 20th century, Claude Debussy remains one of the most beloved composers in the classical music universe. 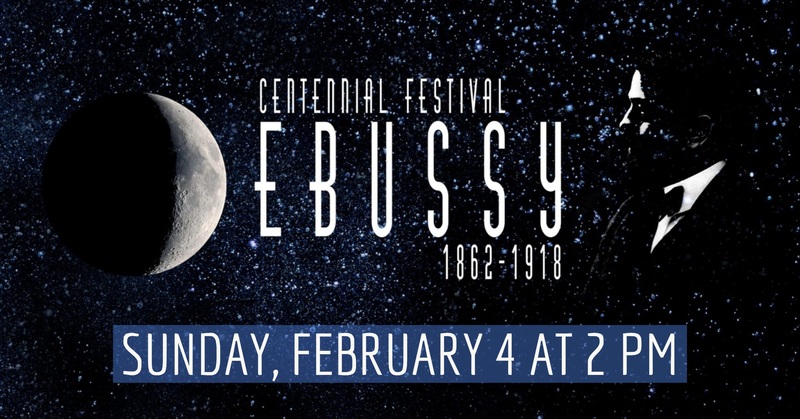 To commemorate the 100th anniversary of the composer’s death, Old First Concerts is presenting a 4-concert Centennial Festival in 2018, a rare opportunity to hear a great deal of his highly unique musical legacy composed in just 30 years. 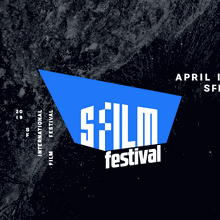 The first concert of the Festival kicks off with a giant 3-hour Gala featuring some of the Bay Area’s most celebrated pianists, singers, and instrumentalists who will showcase Debussy’s versatility and imagination as a composer, particularly within musical miniatures. Please join us in this unique opportunity to hear some of the composer’s most famous works as well as rare, more recently discovered gems. Be sure to also mark your calendar to attend the other Centennial Festival concerts on May 18, July 6, and August 24!